Commission for Kids is a unique niche real estate marketing company helping its members to generate leads and referrals while giving back to their local community. Commission for Kids is building a nation-wide membership community of licensed real estate agents, lenders, title companies home inspectors and appraisers, through its marketing program, who make a commitment to donate a portion of their commissions and fees back to their local K-12 schools and 501c3 youth organizations. This is done through the sale or purchase of their client’s home. The client can designate which school or non-profit youth organization will receive the funds. The amount of the donation is reflected on the real estate transaction’s closing statement, so a check can be written in the name of the recipient once the closing is completed. The check is then given to the designated school or non-profit youth organization by the real estate agent. The Commission for Kids program represents a new way for K-12 Schools and 501C3 Non-profit youth organizations to receive donations to fund academic, non- profit youth and sports programs. We can assist you with communicating this opportunity to your school or non-profit youth organization’s network of families and supporters. Just think, if you are a parent, family member or a staff member, and you have the chance to choose a real estate agent that commits to giving back 10% of their gross commission to your school or non-profit youth organization, you would want to do that. We invite you to reach out to us to learn more, email [email protected] or call 772-888-KIDS. 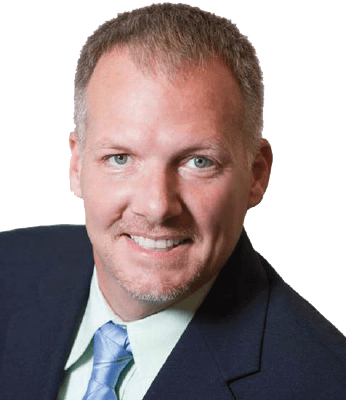 Michael Farabaugh is an award-winning, top-producing Realtor® with 17 years of experience selling real estate. He has been recognized two times by Real Trends THE 1000, as advertised in the Wall Street Journal, as one of the Top 250 agents for transaction sides in the U.S.A.. Farabaugh has been ranked in the Top 100 for RE/MAX agents in the country for sales volume 3 years in a row. He shares his passion for the real estate profession by mentoring new real estate agents on the foreclosure side of the real estate industry. Farabaugh believes that success in life includes being active in one’s community, sharing your skills with others and making a positive impact in the lives of children. As a result of his work with a local booster club on behalf of his own son, he was moved to create a solution that addresses the need for schools, their athletic programs and non-profit youth programs to raise funds. An idea came to mind that he could donate a portion of his real estate sale commission to his son’s basketball team for needed expenses. This led Farabaugh to found Commission for Kids as a way for real estate agents to give back to their local communities in a positive and charitable way. He realized he could help more children by expanding Commission for Kids on a larger scale across the U.S.A. as a marketing platform for real estate agents to have a unique niche helping their communities and families.